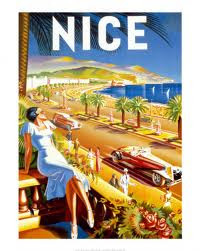 I've always wanted to go to the French Riviera; Nice, in particular. The beach, the wine, the food... it's my idea of heaven. Mediterranean food holds a special place in my heart. I especially love food that involves fish, olives (and olive oil) and fresh vegetables. One of my very favorite dishes is Salade Niçoise, a fun, deconstructed salad involving tuna, crudites, olives, hard boiled eggs and vinaigrette. It's such a flexible dish- there are many versions. Some use canned tuna (high quality yellowfin in olive oil is nice) and some use grilled, some have lettuce, and others don't. Some have anchovies. No matter the construction, it's always easy, festive and I think, elegant. My own version always involves grilled albacore, tomatoes, eggs, olives, green beans and capers. Those are my core ingredients. -grilled albacore (I marinated it in a bit of coconut aminos, brown mustard and balsamic vinegar). -hard boiled eggs (I boil them for 8 minutes so I don't overcook the yolks). -sliced fennel bulb (it has a nice crunch and a mild, anise flavor). -blanched french green beans, a.k.a. haricot verts (regular will work, too). I used a simple balsamic vinaigrette (similar to this one) to dress the salad. Voila! Easy and pretty and certainly yummy. I am wondering if you have addressed anywhere in old posts (or if you plan to address)your food budget. For three people I spend about $800 per month and people seem to be horrified (like it's a lot). Hi, Jen- I'm so glad you're enjoying my recipes! I do most of my shopping at Trader Joe's (which is pretty economical) and the farmer's market and only a little at Whole Foods. A lot of the food I buy is reasonably priced: canned wild salmon, eggs, greens, most veggies (except artichokes! ), sweet potatoes. The grass-fed ground beef I buy is 5.99/lb and we get cheaper cuts of grass-fed beef (usually 8.99/lb). I order things like almond flour and coconut flour from iherb.com to save money. Really, the meat/fish is the main expense. We also rarely eat out (partly due to me being gluten intolerant), go to the movies or buy alcohol and we don't have cable (who needs cable with Netflix?) so we have more to spend on groceries. I should start keeping track of my grocery bill to see what it amounts to. Thanks for the reply. I do a lot of TJ's shopping too, but then yesterday I did the Costco thing and there was Copper River salmon for $12.99 a pound and I ended up spending $35 on it- as buying one pound isn't an option. I just factor in the big food bill with the crappy car status. Yup, would love a newer car but wouldn't give up the scrumptious food.